The link will take you to the whole series of drawings. 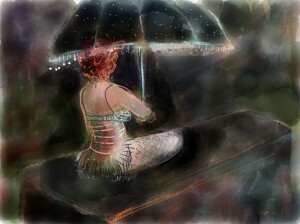 This is the 20 minute sketch with a crystal studded umbrella. So lovely in the light.